I'm a creature of habit and I always like to check my photographic equipment prior to each photo shoot to make sure my lenses and camera sensors are clean, batteries charged and that all my memory cards are formatted. For weddings my camera bag contains two camera bodies a Nikon D4 and a Nikon D800, two SB910 Speedlights, Nikon 24-70mm, Nikon 70-200mm VRII, Nikon 50mm and a 24mm PC-E lenses. Plus a whole host of other gear. I like to be prepared for every eventuality, I even take two sets of step ladders with me! 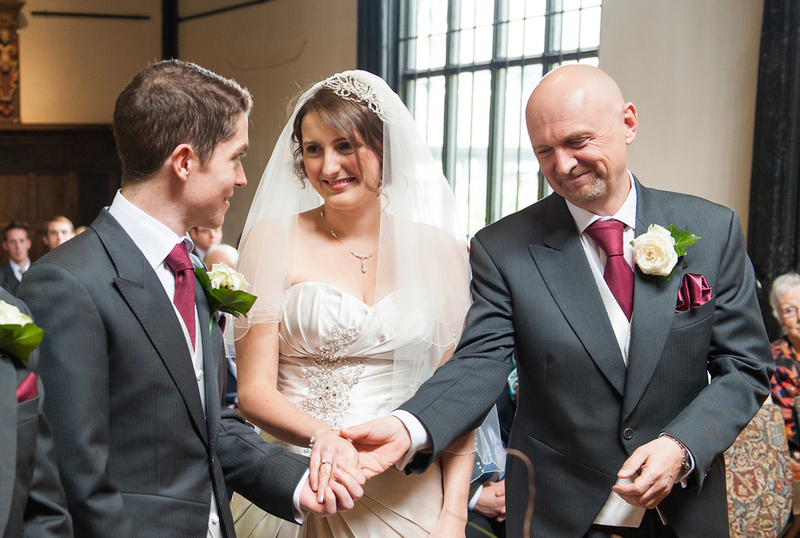 Kerrie's Father handing over his Daughter's hand in marriage in Samlesbury Hall's Whittaker Room. Kerrie & Robert discovered my web site and we arranged to meet and discuss their wedding photography plans over a coffee. We met each other for the first time at a local hotel one Friday afternoon. (Being a full-time professional photographer I am able to be flexible and meet during the week to suit couples availability). At our initial meeting I'd taken along some of our Wedding Story Book's to show them the printed quality of our wedding photography. Kerrie said, “There was a huge list for Lancashire but your website and wedding photographs really stood out.” A short time after our meeting Kerrie emailed to book us and secure the date in the diary. This was 16 months before their big day. As a professional photographer I don't like surprises, I like to have a plan whatever the weather. Around four weeks prior to each wedding I arrange to meet couple's at their wedding venues, even if I've photographed weddings there many times before! Kerrie and Robert's wedding was no exception, we had a good wonder around the extensive grounds and discussed their wedding photography and what they had planned for the day. 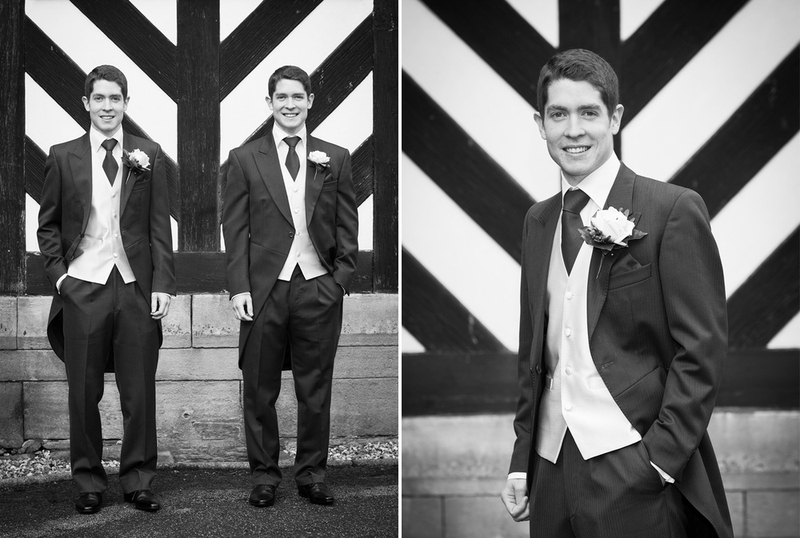 When their wedding day arrived the photography coverage began at Samlesbury Hall. I arrived early to capture some detail shots of the flowers and photograph the wedding guests arriving. Kerrie had decided that she didn't want any bridal prep photographs, which made a pleasant change for me because I usually photograph the whole wedding day from getting ready, right through until the first dance. Kerrie arrived in style with her Dad in a vintage VW camper van. The chauffeur was absolutely brilliant at making sure the camper van was perfectly positioned for the wedding photography. 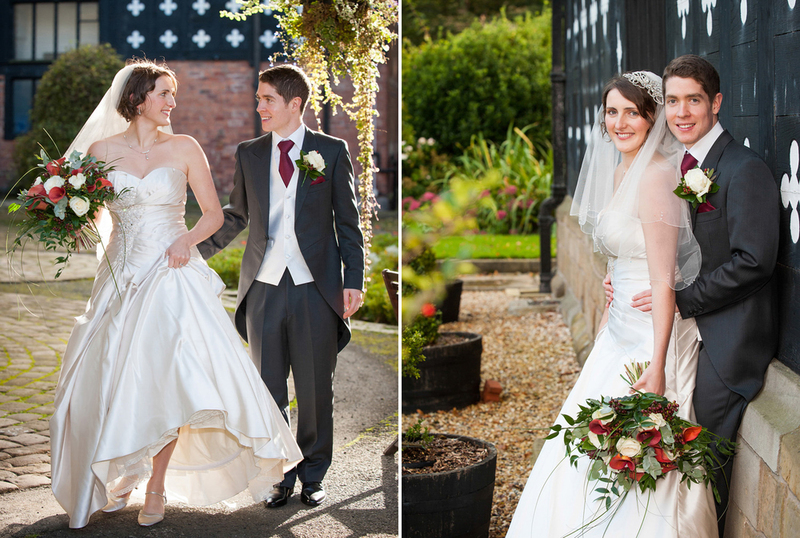 Like all weddings at Samlesbury Hall Kerrie & Robert had exclusive use of the the Hall and all the beautiful grounds. As you can see from this selection of their wedding photographs you can see we made full use of them! We had a fabulous fun time working together, capturing their wedding story through my photography. I just can't believe it's a year ago tomorrow, congratulations Kerrie and Robert on your first wedding anniversary! Newer:A Cumbrian Wedding AdventureOlder:Engagement or Pre-Wedding Photoshoot.